Ok, I told you about my favorite drugstore mascara, but I haven’t told you about my ultimate favorite mascara, the one that I can not live with out! 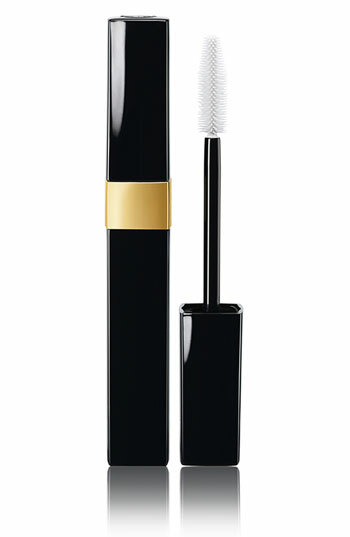 I have tried all the mascara’s in the department store and the one that is by far the best is Chanel Inimitable Mascara Multi-Dimensionnel ($30 www.chanel.com). In one stroke on your lashes this mascara separates and covers them all perfectly from root to tip!! It plumps and curls the lashes and does this all without any clumping! I can not express how beautiful this mascara makes your lashes look! The wand is so slender and it just separates each lash perfectly! I use the regular version but you can also get it in waterproof. I use black noir and it is perfect! I can’t express how much this product saves me on time in the morning! One quick sweep of the lashes and they are done! This completes every makeup look and makes your eyeshadow pop! If you are looking for a good mascara give this one a try it is AMAZING! !